Your written Notification of Claimed Infringement must be sent to our Designated Copyright Agent at the this email address. We will review and address all notices that substantially comply with the requirements identified above. If your notice fails to substantially comply with all of these requirements, we may not be able respond to your notice. This User Agreement (this “Agreement”) is a legal agreement between you and Own Your Hill, LLC. (“Own Your Hill,” “we” or “our”) providing, among other things, the terms and conditions for your use of the Own Your Hill websites, (collectively, the “Service”). 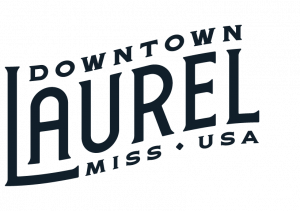 The list of Own Your Hill websites governed by this agreement include: downtownlaurel.com. Please read this Agreement carefully. By using the Service you agree to abide by all of the terms of this Agreement. If you do not agree to, or cannot comply with this Agreement, please do not use the Service. We may, from time to time, change this Agreement. We will post a copy of the changed Agreement on the Service. Your continued use of the Service constitutes your agreement to abide by this Agreement as changed. Any breach of this Agreement may result in termination of your access to the Service, without notice, in addition to the other remedies available to Own Your Hill. All of the information, content, services and software displayed on, transmitted through, or used in connection with the Service, including, for example, news articles, opinions, reviews, text, photographs, images, illustrations, audio clips, video, html, source and object code, software, data, and the like (collectively, the “Content”), as well as its selection and arrangement, is owned by Own Your Hill and its affiliates, licensors or suppliers (excluding any “User Content,” as defined below, which may be owned by others). The Service is protected by copyright, trademark and other intellectual property laws of the United States of America and applicable international intellectual property laws. You may use the Content online only, and solely for your personal, non-commercial use and you may download or print a single copy of any portion of the Content solely for your personal, non-commercial use, provided you do not remove any trademark, copyright or other notice from such Content. However, Own Your Hill does not represent or warrant that use of any Content will not infringe rights of third parties. If you operate a Web site and wish to link to the Service, you may do so provided you agree to remove such link immediately upon our request. The permitted use described in this paragraph is contingent upon your compliance at all times with this Agreement. No other use is permitted without our prior written authorization. Further, you agree not to decompile, reverse engineer or disassemble any software or other products or processes accessible through the Service in any way that affects a user’s experience, and not to use any data mining, data gathering or extraction methods. Requests to use Content for any purposes other than as permitted in this Agreement should be directed to legal@ownyourhill.com. In certain cases, you may be able to obtain a license to use individual stories that appear on the Service through online functionality we have specifically designated (e.g., to e-mail a story to a friend or to purchase the rights to reproduce a story for other use). In such cases, we will provide the license information or a link on the Content itself. If you do not see such license information or link, you should assume you do not have permission to use the Content. If you discover this kind of material or activity on the Service, please notify us at legal@ownyourhill.com. We do not support, endorse nor tolerate any of the foregoing material or activity. Although we try to provide accurate information on the Service, the materials may contain inaccuracies, errors and typographical errors. Own Your Hill and its affiliates do not warrant the accuracy or completeness of the Content contained on the Service. We may make changes to the Content at any time without notice and make no commitment to update the Content. YOU ACKNOWLEDGE THAT YOU ARE USING THE SERVICE AT YOUR OWN RISK. THE SERVICE, THE CONTENT AVAILABLE ON OR THROUGH THE SERVICE, AND THE SOFTWARE MADE AVAILABLE ON OR THROUGH THE SERVICE, IF ANY, ARE PROVIDED “AS IS” WITHOUT ANY REPRESENTATION OR WARRANTY OF ANY KIND, AND Own Your Hill AND ITS AFFILIATES HEREBY EXPRESSLY DISCLAIM ANY AND ALL WARRANTIES, EXPRESSED AND IMPLIED, INCLUDING BUT NOT LIMITED TO ANY WARRANTIES OF ACCURACY, RELIABILITY, TITLE, MERCHANTABILITY, NON-INFRINGEMENT, FITNESS FOR A PARTICULAR PURPOSE OR ANY OTHER WARRANTY, CONDITION, GUARANTEE OR REPRESENTATION, WHETHER ORAL, IN WRITING OR IN ELECTRONIC FORM, INCLUDING BUT NOT LIMITED TO THE ACCURACY OR COMPLETENESS OF ANY CONTENT CONTAINED THEREIN OR PROVIDED BY THE SERVICE. Own Your Hill AND ITS AFFILIATES DO NOT REPRESENT OR WARRANT THAT ACCESS TO THE SERVICE WILL BE UNINTERRUPTED OR THAT THERE WILL BE NO FAILURES, ERRORS OR OMISSIONS OR LOSS OF TRANSMITTED INFORMATION, OR THAT NO VIRUSES WILL BE TRANSMITTED ON THE SERVICE. 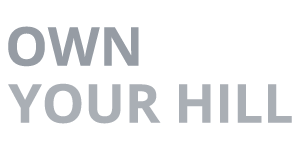 Own Your Hill AND ITS AFFILIATES ARE NOT RESPONSIBLE OR LIABLE FOR USER CONTENT OR OTHER CONTENT POSTED BY THIRD PARTIES, ACTIONS OF ANY THIRD-PARTY, OR FOR ANY DAMAGE TO YOUR COMPUTER EQUIPMENT OR OTHER PROPERTY. YOU EXPRESSLY UNDERSTAND AND AGREE THAT Own Your Hill AND ITS AFFILIATES, SUBSIDIARIES, SERVICE PROVIDERS, LICENSORS, OFFICERS, DIRECTORS OR EMPLOYEES SHALL NOT BE LIABLE UNDER ANY CIRCUMSTANCES FOR ANY INDIRECT, GENERAL, INCIDENTAL, SPECIAL, CONSEQUENTIAL, EXEMPLARY OR OTHER DAMAGES, INCLUDING BUT NOT LIMITED TO, DAMAGES FOR LOSS OF PROFITS, GOODWILL, USE, DATA OR OTHER INTANGIBLE LOSSES (EVEN IF Own Your Hill OR ITS AFFILIATES HAVE BEEN ADVISED OF THE POSSIBILITY OF SUCH DAMAGES). SOME JURISDICTIONS DO NOT ALLOW THE EXCLUSION OF CERTAIN WARRANTIES OR THE LIMITATION OR EXCLUSION OF LIABILITY FOR INCIDENTAL OR CONSEQUENTIAL DAMAGES. ACCORDINGLY, SOME OF THE ABOVE LIMITATIONS MAY NOT APPLY TO YOU. YOU AGREE TO INDEMNIFY, DEFEND AND HOLD HARMLESS, Own Your Hill AND ITS AFFILIATES, SUBSIDIARIES, SERVICE PROVIDERS, LICENSORS, OFFICERS, DIRECTORS AND EMPLOYEES, FROM ANY AND ALL CLAIMS (INCLUDING, BUT NOT LIMITED TO, CLAIMS FOR DEFAMATION, TRADE DISPARAGEMENT, PRIVACY AND INTELLECTUAL PROPERTY INFRINGEMENT) AND DAMAGES (INCLUDING ATTORNEYS’ FEES AND COURT COSTS) ARISING FROM OR RELATING TO ANY ALLEGATIONS REGARDING: (1) YOUR USE OF THE SERVICE; (2) Own Your Hill OR ITS AFFILIATES’ USE OF ANY USER CONTENT OR INFORMATION PROVIDED BY YOU; (3) USER CONTENT OR INFORMATION POSTED OR TRANSMITTED THROUGH YOUR MEMBERSHIP ACCOUNT, EVEN IF NOT POSTED BY YOU; AND (4) ANY VIOLATION OF THIS AGREEMENT BY YOU. We reserve the right, at our sole discretion, immediately and without notice, to suspend or terminate this Agreement, your registration for any program offered on the Service, your ability to access the Service, and to remove any User Content, for any reason, including without limitation any breach by you of this Agreement or conduct by you that we determine to be inappropriate. You agree that Own Your Hill and its affiliates shall not be liable to you or any third-party for any suspension or termination pursuant to this provision. Own Your Hill may at any time transfer its rights and obligations under this Agreement to any affiliate, subsidiary or business unit, or any of their affiliates, or to any entity that acquires Own Your Hill or any of its assets. This Agreement shall be governed by and construed in accordance with the laws of the State of Mississippi, without regard to its conflict of laws provisions. You agree to submit to personal and exclusive jurisdiction by and venue in the state and federal courts located in Jones County, Mississippi. The Service is controlled, operated and administered by Own Your Hill from within the United States. We make no representation or warranty that the Content available on the Service is appropriate or available for use at other locations outside of the United States. If you use the Service in a jurisdiction that prohibits or restricts the use of the Service, you agree that your use of the Service will be at your own risk, without limitation of any other provision of this Agreement, and that Own Your Hill and its affiliates shall not have any liability with respect to such use. Software from this Service may be subject to United States export controls. You may not use the Service or export software from this Service in violation of United States export laws and regulations. This Agreement is the complete and entire agreement between you and Own Your Hill and supersedes any prior agreement, whether written or oral. If for any reason any provision of this Agreement is found to be unenforceable, that provision shall be enforced to the maximum extent permissible so as to effect the intent of the parties as reflected in that provision, and the remainder of this Agreement shall continue in full force and effect. Any failure of Own Your Hill to enforce or exercise any provision of this Agreement or related right shall not constitute a waiver, at the time or in the future, of that right or provision or any other right or provision. The section titles used in this Agreement are for convenience only and have no legal or contractual effect. Promotions on Social Media are in no way sponsored, endorsed or administered by, or associated with Facebook, Instagram, or other Social Media platforms. You understand that you are providing your information to the owner of this website and not to Facebook, Instagram or other Social Media platforms.